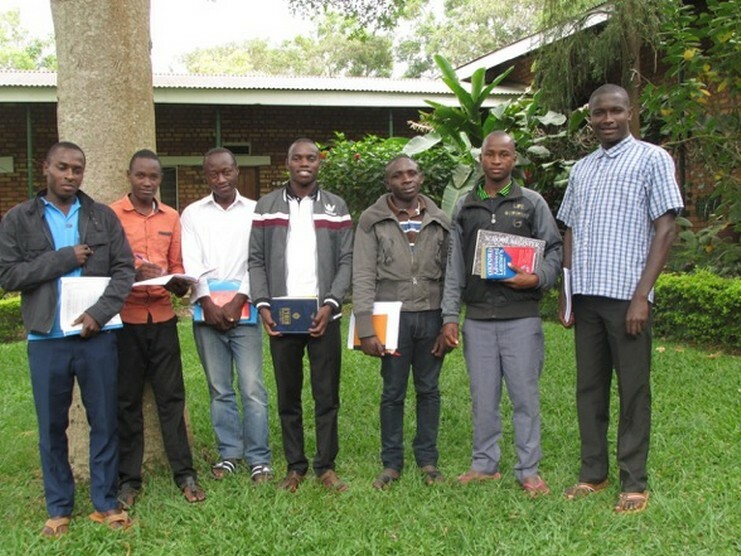 MBARARA, Uganda - On May 01, 2018, we began a Pre-Postulancy program for East African candidates in Uganda, Mbarara House (former Novitiate). After several Come and See sessions, seven young men, full of zeal and burning desire for religious vocation were recommended for the Pre-Postulancy formation. The program is to run until the end of July and the candidates are being oriented in several Spiritual courses which include: Introduction to Montfort’s life and spirituality, Prayer and Vocational Discernment, Catechesis, Communal and Personal life, Languages, Computer, etc. The candidates so far have shown a positive response to the above-mentioned courses and the whole program in general, and they have in several encounters expressed their willingness to proceed to the next stage of pre-novitiate. God willing, those who will qualify at the end of the program will be sent to Balaka – Malawi for the next stage of formation. We pray the Lord of the harvest that He will continue sending us more laborers.